The goal of the Cate School Steelhead Restoration project was to improve steelhead migration in the main stem of Carpinteria Creek in Santa Barbara County. The project involved the removal of a low flow crossing which acted as a barrier to steelhead migration and replacement with a clear spanning bridge. The low flow crossing at the Cate property had significant scour on the downstream end of the concrete apron that resulted in over a 4 foot vertical jump height that was rated as “extremely high to impassible” barrier to upstream migration by steelhead trout (Stoecker 2002). 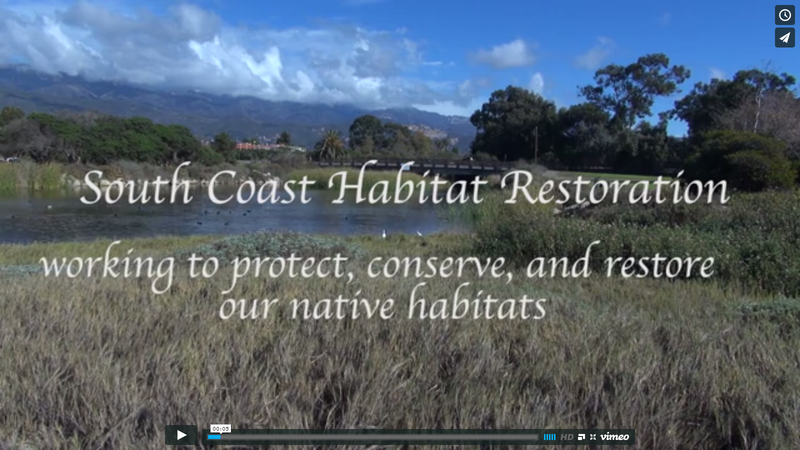 South Coast Habitat Restoration secured funding from the Coastal Conservancy for the development of the engineered designs for the project. 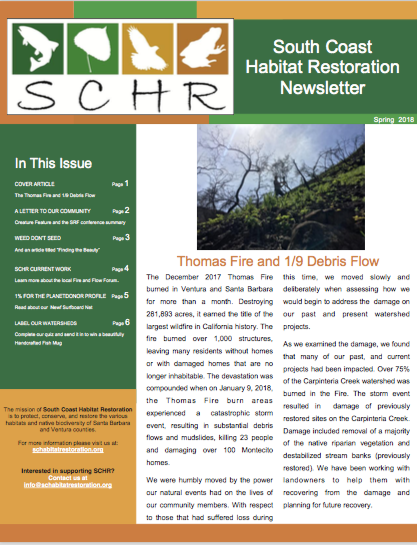 SCHR also secured permits from all necessary regulatory agencies and secured funding for the implementation of the project from the Coastal Conservancy and other funding sources. Construction at the project site began in the Fall of 2008. The concrete stream crossing was removed, the channel was regraded to a natural grade, and the new bridge was installed. Native seed and container plants as well as erosion control material were installed at the site in the following months. SCHR continues to monitor the project’s success and maintain the native plantings at the site.